This week’s Throwback Thursday pic is of the British American Hotel located at the corner of Sandwich (today Riverside Dr.) and Ouellette Avenue. 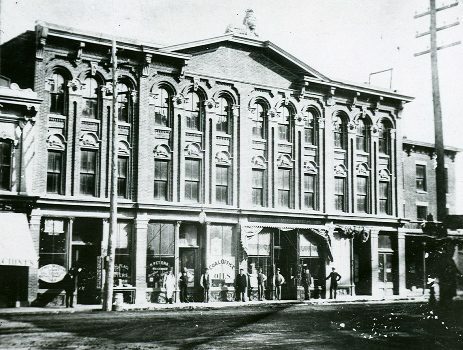 This hotel was build after the 1871 fire that destroyed most of downtown Windsor. Originally called the Hirons House the name was changed to British American Hotel in the 1920s. The hotel was popular with Americans coming off the ferry boats and travellers arriving by train as the hotel was within walking distance of both terminals. The hotel was closed by 1969 and the building was demolished in 1975. Today, this area is part of Dieppe Gardens and the Udine Fountain is located where the hotel used to stand. If you would like to view this our other historic photographs of Windsor, please visit Windsor History and Pictures at http://heritage.windsorpubliclibrary.com/index.php.